At the age of three my guest today Meagan Duhamel already had big dreams for her life. She probably didn’t realize that she would be winning multiple Olympic medals at that age but by the time she was 14 she was serious enough about her career that she convinced her parents to let her move from her hometown of Lively Ontario to Barrie. It wasn’t the easiest transition but she was determined to continue her training as a skater. She started out as a singles skater but then switched to pairs, having two different partners. In 2010, Meagan thought her career might be coming to an end when she was unable to qualify for the Olympics. But shortly after she was introduced to Eric Radford who at the time seemed like an unlikely match. The two went on to become Canadian legends. 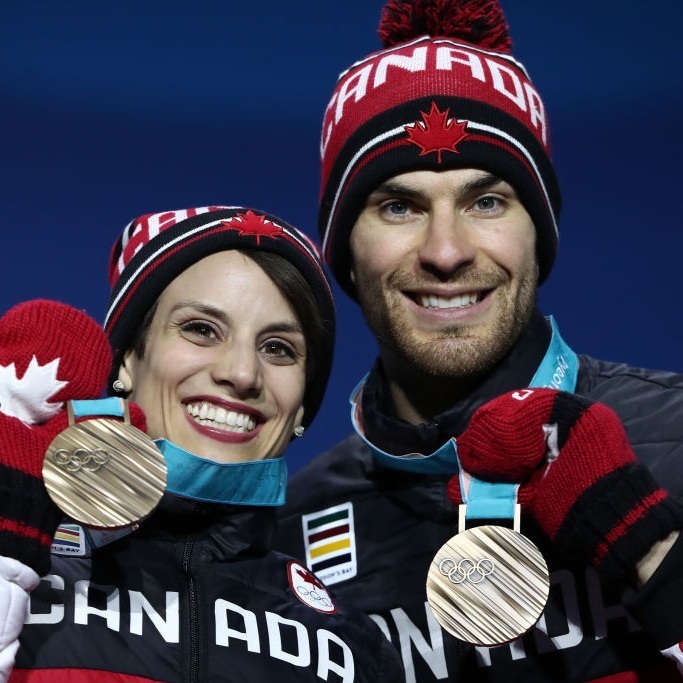 In 2018 two-time world champions Meagan Duhamel and her partner Eric Radford captured their seventh consecutive Canadian title, becoming one of the most decorated Canadian pair teams in history. A month later, then went on to win a Gold medal in the team event in Py (NK) and a Bronze medal in the pairs event. They are known to push the limits of their sport by challenging themselves to be better. Their signature element include death spiral, and quad throws. Duhamel and Radford continue to push the limits of the sport and are always challenging themselves to be better. With signature elements including stunning death spirals and quad throws, the strong and consistent pair continue to raise the bar season after season. Meagan lives in Boucherville QC with her husband Bruno Marcotte who coincidentally is also her coach. Meagan studied holistic/naturpathic health and became a certified holistic nurtitionist in 2012. 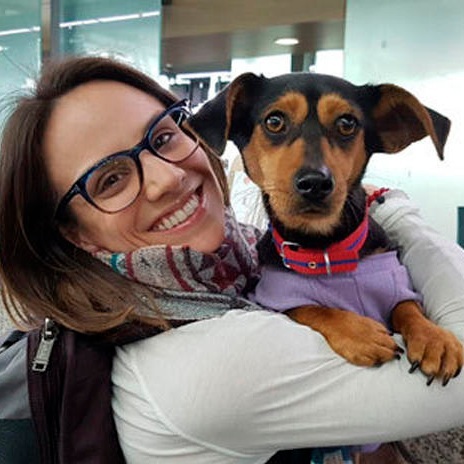 She became a vegan in 2008 and loves to share her love for nutrition and health. She also has two rescue dogs Theo and Mootae. Discover the unlikely path Meagan Duhamel and Eric Radford followed en route to the top of the world in figure skating. The Northern Ontario pairs skaters, who won a complete set of Olympic medals, reflect on how they developed a working relationship and honed their resilience in a sport that often left them bloodied and bruised. Ultimately, the two-time world champions earned the perfect, storybook ending to the sport they have adored since they laced up their first pair of skates. When you discover what you’re meant to do, do it with everything in you. Do you feel stuck and unable to move forward with your goals? If you’re ready to step confidently into your potential then schedule a FREE 30 min strategy session today. Life is not always as we think it will be. It’s definitely not perfect even if others perceive it to be. I’m excited to share my conversation with Hannah Marks with you because it will inspire you to live your life to the fullest no matter what comes your way. Her second born was only a few weeks old when she passed out after feeding. Her skin was ashy and grey and Hannah knew that something was just not right with her baby girl London Elizabeth. The news she got from the doctor was scary and unbelievable. If London didn’t have heart surgery immediately she would not last through the night. Within moments everything changed for Hannah and her husband Robbie. Hannah Marks is an independent sales director with a skin care and cosmetics direct sales company, leading women for 15 years. She has been married to Robbie for 16 years and they have two beautiful children, Will 9 and London Elizabeth 4. Originally from Great Britain, Hannah recently became an American Citizen but still enjoys all things British! Hannah’s main goal in life is to watch others, especially women become all that God created to be! When you discover what you are meant to do, do it with everything in you. So what's stopping you from showing up and owning your potential? If you’re ready to walk in the confidence of who you are truly meant to be, then schedule a FREE 30 min strategy session and let's start moving you toward your purpose. Are you ready for 2019? It's the perfect time to start your goal planning for the new year, and the perfect time for you to get your hands on a beautiful new planner. I sat down with Kirsten Wilson, the founder of Hello Day and we talked about getting staying organized, goal setting and the ups and downs of starting a new business. We are also teaming up this week to GIVEAWAY a beautiful Hello Day 2019 Planner. So make sure to follow @the.couragecast and @hellodayplanner for all the details. Hello Day provides high-end stationery for Chic and sophisticated women that like to be their inner #plannernerd, but do it in style, the grown-up way. Hello Day planners promote not just productivity, but positivity and overall wellbeing, both mentally and physically. www.hellodayplanner.com. Get ready to be inspired to dream bigger dreams for your life. Today on The Couragecast I’m chatting with mother daughter duo — Darlene & Hannah Chantee Van Herten. At three years of age, Hannah knew she wanted to make people happy and entertain them on big screen. At the age of thirteen Hannah has graced the runway, and been on an impressive roster of movies. But more than possessing enormous talent for her age, Hannah is wise beyond her years. In this episode I chat with Hannah about her journey as a child actor. And if thats not enough, I also talk with Darlene about how what it’s been like to raise her kids in the arts while pursuing her own dreams. In today's episode, I have the pleasure of talking with Nesh Pillay about equality through empathy and how we can start to address issues of race, gender and age equality as female entrepreneurs. Nesh Pillay is the founder of Press Pillay - a socially-conscious digital marketing agency based in Toronto. Press Pillay offers an array of services for growing lifestyle tech brands. She is committed to becoming the Robin Hood of Marketing by taking from the rich and giving to the poor - or in her case, redistributing 10% of all her agency’s income toward making the world a better place. After attaining her Master’s degree from New York’s CUNY Graduate School of Journalism, Nesh held various roles at The Drum, EQ Works, Avid Life Media, and Vice HBO. When she’s not trying to take over the Toronto communications scene, Nesh can be found chasing her pantless two-year-old around her apartment. A few years back I met this lovely young woman at a Creative Connect group in church and was immediately drawn to her. She was vivacious, had this amazing energy about her and was absolutely full of life. A few months after later she became a coaching client and I absolutely fell in love with this girl. Fast forward several years and today I am thrilled to have her as a guest on the podcast. She is the founder of a gorgeous company called Onderbroeks (lounge wear for women), she is passionate about sharing her story and being vulnerable in the process. She lives in Toronto and is a dear friend. This is the lovely Tara Jeronimus. EP 054: Do you feel confident in your body? We always love having Tania on The Couragecast. There is something so magnetic about her personality and the way she communicates. During this episode, we get an opportunity to talk about 'body confidence' and what that really means to us. A few months back Tania posted a beautiful photo of herself in a two-piece swimsuit. It was a sort of coming out for her -- a way to love herself on her 30th birthday. So many of her followers loved and commented on the post. All too often we curate what we want others to see because we are afraid to show who we really are. I love that Tania has been unapologetic about who she is as a wife, mom, and entrepreneur. The conversation we have during this episode is just a starting point. I really believe we need to be talking more about how we can be confident as women - body, soul and spirit. As with anything, our mindset around money will either be what sets us free or keeps us bound to the past. My guest today is the founder of Paper and Coin. She has been on her own money journey and now helps millennials as a financial coach. I learned so much from her and I know you will to. We talk about the money mindsets we learned from our parents, how difficult it can be navigating comparison with how fast others appear to be doing. She gives some practical advice about you can set boundaries for yourself and the importance of generosity as a principle at every stage of our financial journey. 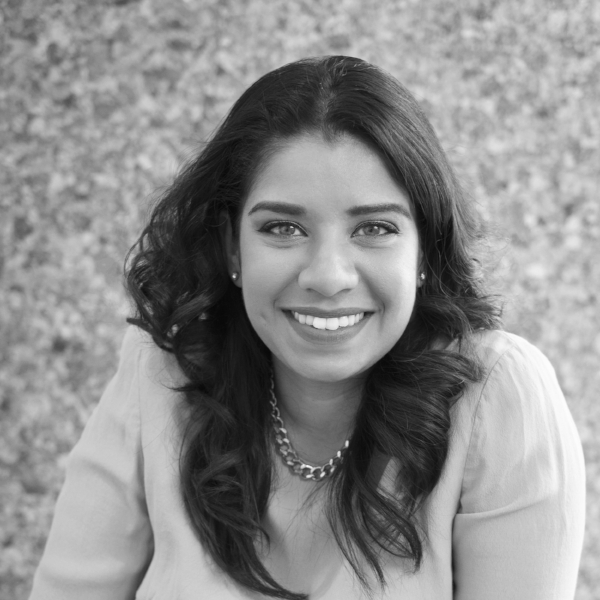 Octavia Ramirez is the Founder/CEO of Paper & Coin, a financial coaching company for Millennials, based in Toronto, Canada. She's also a contributing financial and business writer for Girlboss.com, Tangerine Bank, and several fintech startups across North America. When she's not running her company or writing, she's co-hosting a podcast, About That Life, with her husband, and traveling the world collecting Starbucks' mugs.